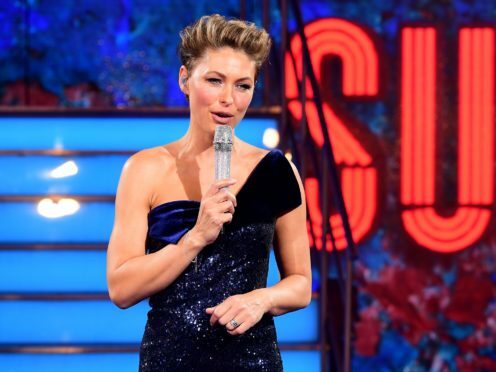 Emma Willis has said she is “not going to panic” about not having work next year in the months she would usually host Big Brother and its celebrity version, after the series was cancelled. Willis had hosted the reality series since 2013, with two celebrity versions per year plus the civilian one throughout summer. The TV presenter admitted “reality is kind of kicking in now”, saying she will miss working on the show, which ended this year on Channel 5, and she is hoping to find a new job soon. Willis told The Sun’s Fabulous magazine: “I read interviews with some people who say: ‘Oh, I’m in talks for something, but I can’t say anything,’ and I think: ‘Why don’t you just say no?!’. “So no, there’s nothing. I like to be busy, and it’s a long period of time that I don’t have anything booked in for right now – three months over the summer. “I think it’s hard at the minute. There are a lot of shows that are well-established and don’t need anyone else. Everyone wants that new show, but where does it come from? Willis said the “timing was disappointing” for the broadcaster to announce Big Brother was cancelled on the channel in September, as the new series was about to kick off. She said: “I wanted to do a great launch where it’s enthusiastic and fun and exciting, and yet our show’s just been canned. So how am I meant not to feel sad, walking out and trying to host a show I love, knowing that it’s done? Willis, who also hosts The Voice UK, said she went from “being angry to really sad” throughout the series, which ended in November and saw Cameron Cole crowned the winner, and she thought “there was more life in it” yet. She has previously said she hopes the programme gets picked up by another channel, with streaming service Netflix rumoured to be interested.